1. Explain the hierarchy of a league and the location of its teams. 2. Examine the relationship between team location and the residence of its supporters. Case Study – Ligue 1 Football, France. Ligue 1 or the Championnat is the premier division in France in which 20 different clubs compete. 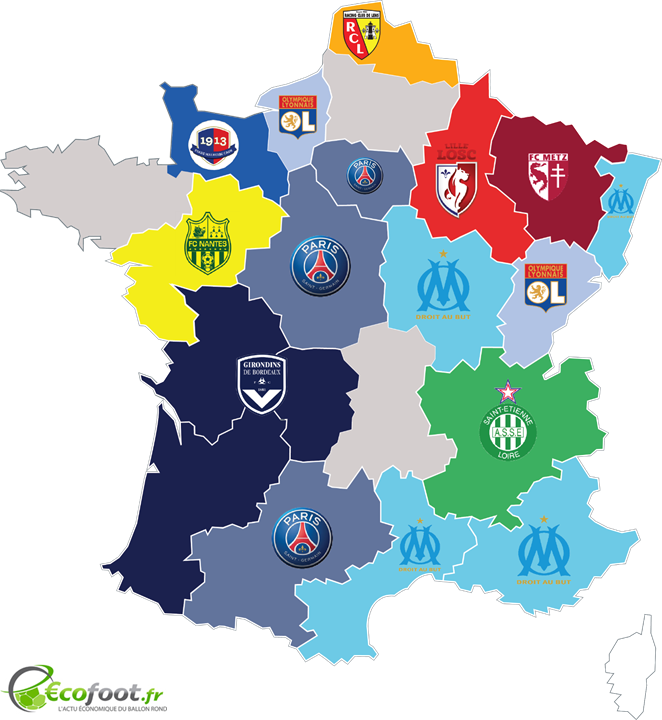 These 20 clubs are spread over mainland France & Corsica and play 38 league games per year. This lesser known European domestic football division will provide us with our case study for this section of the syllabus. This task is expected to take 2-3 hours and all of the tasks are set out here on the worksheet. You need to use this case study fill in sheet and this PowerPoint presentation to complete the location commentary. Please download both now. If you choose to use Marseilles F.C as your focus for task 5 on the worksheet, you may want to use this satellite image of the stadium and surrounding area.